Want to grow your SaaS? Meet the SaaS advertising agency that can help. We audit, plan, build and manage online advertising campaigns exclusively for software-as-a-service (SaaS) companies. We work for you, not Google or Facebook. So we don’t charge you a percentage of your spend. Instead we charge for the time it takes us to get the results you want. We have no minimum spend. If you’re a startup we’re happy to work with you to validate your product/market fit. And we’re there to help you to scale when the time is right. Paul has more than 30 years of marketing experience gained on both client and agency side. 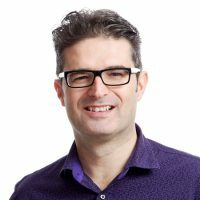 He has worked with many companies across a wide range of sectors, including SaaS/Tech, Accountancy and Financial Services, Business Publishing, Consulting and High Value Manufacturing in the UK, US, Canada and Australia.